Cat calavera mask template for Day of the Dead: Dress up parties + have fun! 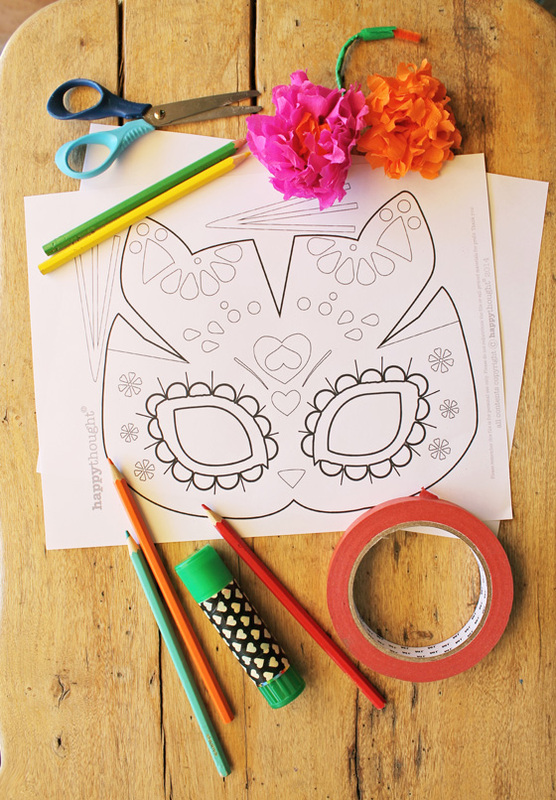 Easy templates and instructions to craft this calavera cat mask for some costume party fun! 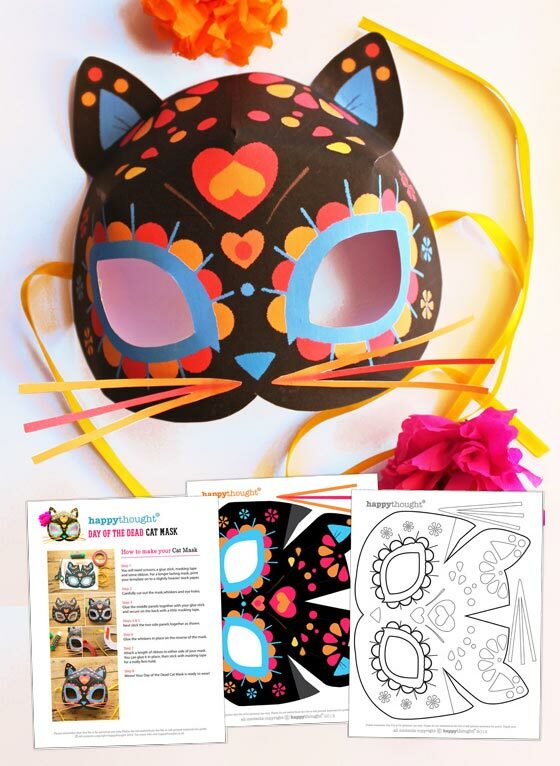 Cat calavera mask template + video tutorial: Download and make a cat mask instantly! Your download PDF also includes a cat calavera mask template to color in. Follow our cat mask video tutorial below and make your own cat mask in no time! Cute cat calavera mask template and sugar skull cat mask no-sew patterns. 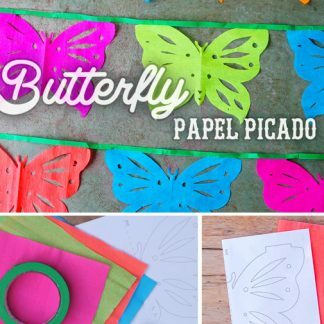 Step-by-step video tutorial + templates! Calavera cat templates to download and print. 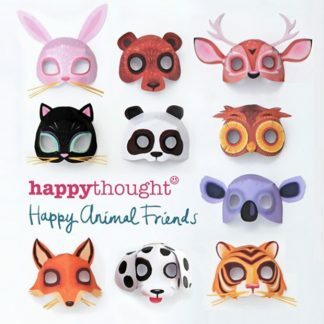 Free for Happythought members! Cat calavera mask, color-in templates for el Dia los Muertos or Day of the Dead. 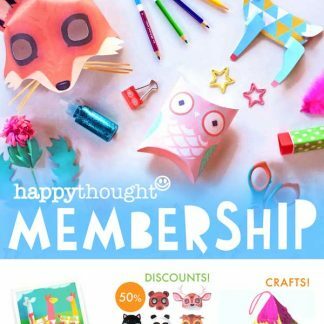 Join the Happythought membership and gain access to the CraftClub and great discounts. 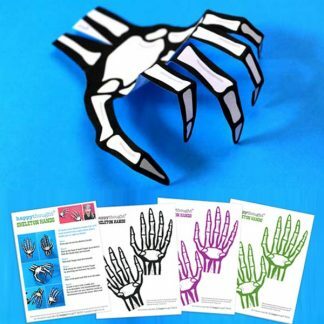 To receive your Day of the Dead cat mask papercraft pdf, just click here to add the templates to your cart. It’s easy! 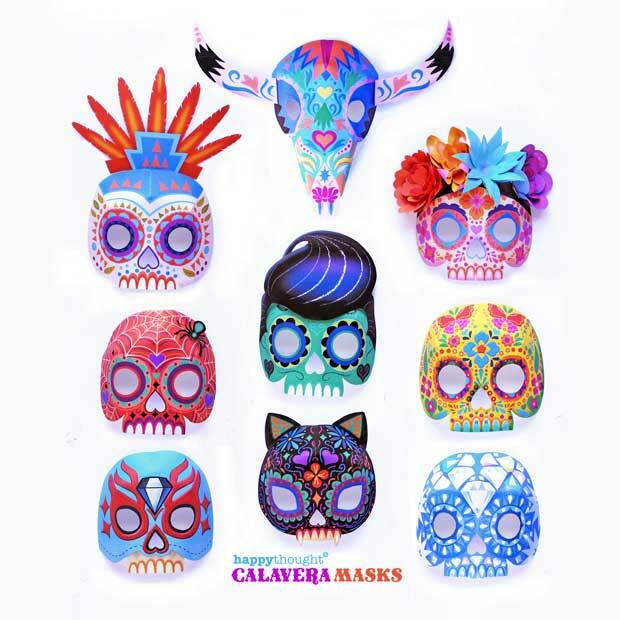 We love this cool cat calavera mask template and all these other mask sets. They are all available from at the Happythought store. 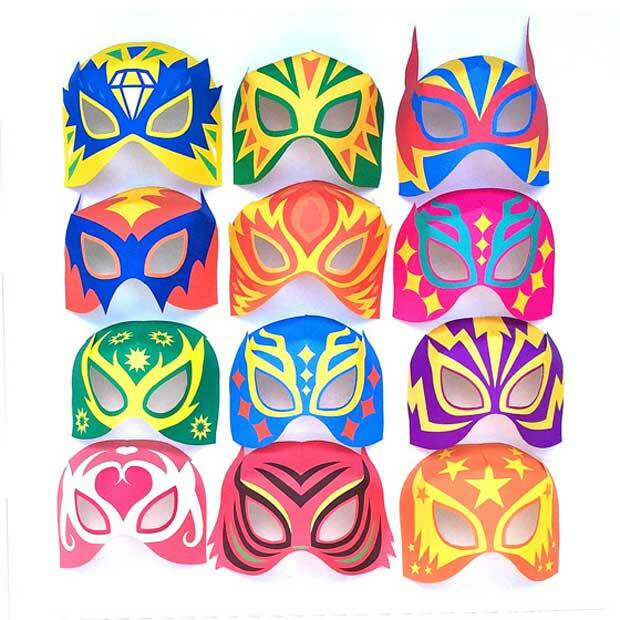 Check out our cool printable Halloween mask set, Calavera skull mask set or our popular DIY wild animal masks set. 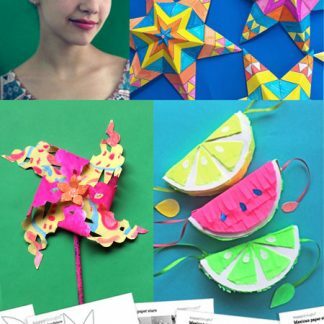 More crafts and templates included in our online blog and shop. Check out these adorable dog mask papercraft pdf patterns with costume ideas, a beautiful DIY paper flower crown project for Day of the Dead and our popular free to members fox mask template and instructions. 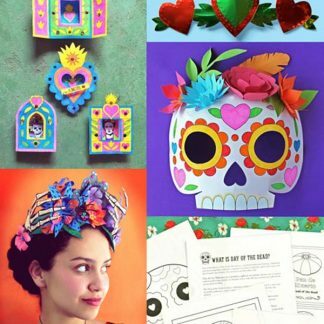 A real must for calavera fans are our set of 9 stunning sugar skulls or calavera mask templates. Ideal for parties, fiestas and el Dia de los Muertos. 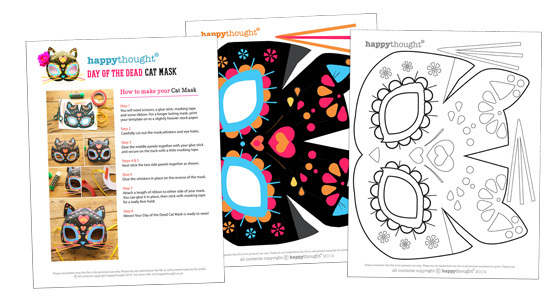 We hope you enjoy our Day of the Dead cat mask template and dress up costume ideas. If so, please give us a little love; by liking us on facebook, pinning us on pinterest or following us on twitter. Thank you!